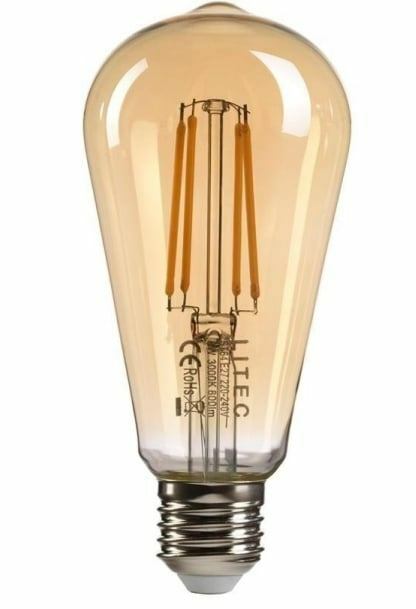 ST64 LED vintage industrial amber glass light bulb 8 watt ES E27 edison screw. An Attractive Lamp With Amber Glass To Create A Truly Vintage Look Whilst Incorporating the Benefits Of The Latest LED Technology. The Elstead Lighting LED Vintage Lamp Has A 2 Year Manufacturers Guarantee And An Expected Life Of 25,000 Hours.